have you placed you bids? for the amazing list of auctions, check out HERE & HERE. for more information about nie nie & her family, go HERE & HERE. to find out what else you can do to help, go HERE. p.s. want to bid on something handmade by me? go HERE or HERE. 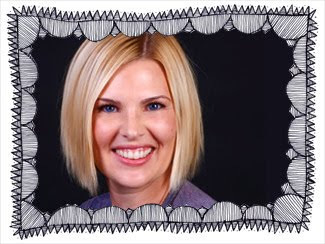 remember to bid lots & bid often, it's all benefiting nie nie & her sweet family. so go & spend a little money. can you believe the summer is almost over? september is just around the corner! 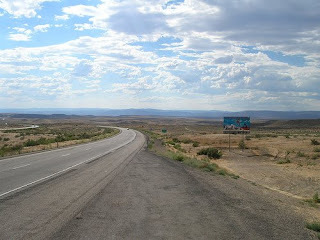 we've got one more road trip planned, so i'll be taking off for a week or so. i'll be busy relaxing, playing, visiting & shopping... so don't worry if i don't manage to get any blogging done. * play kick the can, capture the flag, ghosts in the graveyard. for game ideas, rules & so much more, check out HERE. * visit your local farmer's market... find the nearest location HERE. * make home-made ice cream sandwiches. recipes HERE. * break out the tie-dye. * check out story time at your local barnes & noble. * get your craft on. * have a water balloon fight, break out the slip 'n slide, blow up pool, or sprinkler attachments, or use cheap, store bought spray bottles to have fun & keep cool. * make some homemade m&m and caramel popcorn & have a family movie night. * make home-made ice-cream. instructions HERE. whatever you do... be sure to have fun! see you in a week or so! today our crafting was inspired. as moms to boys, chelsey & i were feeling the itch to make something cutesy & frilly... perfect for the little girls we don't have. now, we just have to figure out who to give them to. lately, i've been pretending that i'm a mountain biker. prior to last saturday, the last time i had been on a mountain bike, was at least 10 years ago, & that experience didn't exactly go well. but when carrie called suggesting i join her & some other girls, for a saturday afternoon ride, how could i say no? & although it was a little awkward riding on dirt, & going downhill makes me really nervous, somehow i managed to survive... in fact, i kind of even liked it. so when carrie called again & invited me to join her & the girls for their weekly wednesday night ride, of course i said yes. led by a fearless leader, our group of adventurous, fun loving ladies hit the trails. we conquered mountains & sand traps. some screamed the whole way down, while others were screaming on inside, as we maneuvered around the bumps & rocks in the trail. & i, took my first fall... yep! i locked my arms up tight, shifted my weight forward, squeezed the brakes a touch too hard & i went flying over the handle bars, somehow managing to wrapped up in my bike. some skinned knees, a knot or two in my leg, a nice bruise on my stomach, a raw elbow & some dirt on the teeth... i definitely exuded beauty & grace. but i have too say... i'd do it all again, just in case you had any question about it carrie, as long as we finish the evening with arby's loaded potato bites again. so recently i bought a new cookbook. if you know my aversion to cookbooks, you're probably laughing right now. but, it was the new cooking with all things trader joe's. & if your a trader joe's fan, it's a necessity! with so many yummy sounding recipes, i didn't know which to try first, but eventually i settled on the chickety chinese chicken salad. it was easy, delicious & everyone licked their plate (even the little boys). whisk soyaki (or whatever you choose), peanut butter, sesame oil & water until well blended. place chicken, vegetables & cashews in a large bowl. ad peanut sauce & stir to coat evenly. p.s. it made for great leftovers, and i'm not a leftover kinda girl. 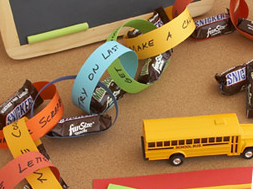 i love THIS idea for making the back to school countdown fun... cut strips from colored paper. on each of the strips write a different task or activity that needs to be accomplished before the school year begins. for example, buy school supplies, practice writing your letters, etc. link the strips together making a chain & attach a small candy bar or treat. hang the chain in your child's room. every morning your child will pull off one strip, read the activity & he or she can enjoy the special treat after fulfilling the task. you'll probably think i'm a nerd, but i am LOVING this newer commercial by target. the song immediately gets my body moving... my toes start to tap, then my head begins to bob, & pretty soon i'm totally rocking out, which probably isn't a pretty sight. but, you can bet your bottom dollar, this song is definitely going on my playlist. besides the song being my new favorite, i am in total & complete awe of the dancers, the way they move is amazing. every time the commercial comes i watch it at least two to three times... i warned you that i was a nerd. & the soft bite mini almond biscotti cookies hit the spot tonight! something yummy, just got better. last weekend i was experimenting with THIS recipe. however, this time around, instead of going the pretty bundt cake route, i opted to make the cake in a 9x13" pan, & add a little extra umph! try this delicious lemon-y frosting the next time you make THIS cake. 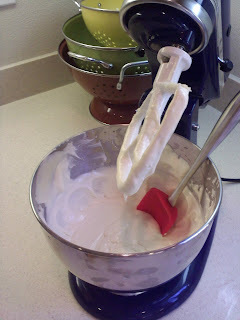 to prepare frosting, place 2 tablespoons butter and the next 4 ingredients (2 tablespoons butter through cream cheese) in a large bowl; beat with a mixer at high speed until fluffy. add powdered sugar, and beat at low speed just until blended. (if you want even more of a lemon-y taste, continue adding more lemonade concentrate, until you get it just right.) Chill 1 hour. spread the cake with the frosting, lick the spoon when you are done & serve. store cake loosely covered in the refrigerator. & if you want to get fancy, you could add a little lemon zest to the top to make it pretty. next time around, i think i'll bake the cake up in 9-inch rounds, make a little extra frosting & try it as a layered cake. i wonder if i have time today? i'm hungry just thinking about it. sorry to break the news to you this way jeffy, but i think i'm falling in love. i think the blame lies mostly with carrie, she was the one that introduced us. although chelsey didn't exactly help, by constantly reminding me how wonderful he was. but the semantics don't really matter. because it's time i declare my feelings & intentions to the world. & i'm not embarrassed at all to do so. if necessary i'll shout it from the rooftops... THIS bad boy has swooped in and captured my heart & i'm looking forward to spending lots of late nights (maybe even a few early mornings, and most likely several afternoon quickies) with him. looking to start a love affair of your own, but don't want to have to break the piggy bank? check out ebay for deals & steals.... everyone deserves a good fling now & then. i never went to bed last night. i ended up working late into the night, by the time i was finished it was 4:30. knowing 2 hours of sleep would be worse for me than no sleep, i got dressed & went to the early morning spin class. 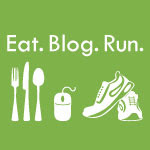 i have been a total slacker lately, when it comes to blog comments. so, please! if you've left me a comment lately, & i haven't responded yet, don't hate me, or think i'm ignoring you... i'm just being lazy. i haven't cooked dinner for the two weeks. i haven't gone to the grocery store in over three weeks. sometime during the week i ran out of shampoo... i had already gone one day (or so) without washing my hair, so i needed to do something. the baby powder smelling puppy shampoo was the best thing i could come up with. you bet i used it, & my hair has never smelled better. my mortgage went up $800 this month... that hurts. i didn't make it to the gym yesterday. instead i ate an entire bag of circus peanuts. i spaced the zip code on my swap package, so it came back to me. so i ended up sending out my package a day late. opps! i think i've officially "let myself go". last week, i wore a hat nearly every day, & my mom asked me if i ever do anything with my hair other than the princess leia buns i've been sporting lately. i'm still driving with my spare tire because i'm too lazy, & don't want to spend the money, to get it fixed. up until yesterday, i had been to the eye doctor for about 2 years. unable to get new contacts, i've just been stealing jeffy's. i hate the word moist & the taste, or lack of taste, of water. last week, our 2008 summer concert tour continued when we went to see one of my favorite bands. although, i guess it's not really a band. when there are only two people i guess it's more of a group. anyway, i loved getting the opportunity to see the ting tings live in concert. & they were AWESOME. it's incredible watching them play... although they've only got two people playing, they use all kinds of different instruments in each & every song. & did i mention that i have a total girl-crush on katie? she is a total rocker & i love the way she goes crazy up on stage. plus, i really kind-of covet her hair.... she's got that platinum blonde, fried hair thing going on, with lots & lots of bangs - very cute, but definitely not a look i could ever pull of. want to rock out to some of my favorite tunes? well, you could just buy their entire album, because it's awesome! or check out these songs: great dj, shut up and let me go, that's not my name, & traffic light. as the fates would have it, both the boy and girl happened to be alone, one particular afternoon, in this magical winter wonderland. & as if destined to meet, together they rode the last chair lift of the day, to the top of the mountain. as they began their journey, the snow began to fall softly, as the sun was slowly setting, casting a beautiful, soft amber glow. 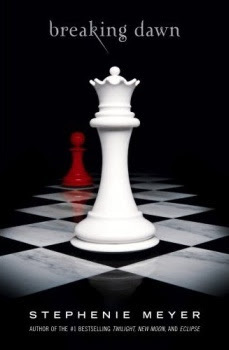 and as the fairy tale goes (and you can only imagine), it was love-at-first-sight. by the end of that momentous chair life ride, they had fallen madly in love, each knowing that they had finally met "the one". okay, so maybe that really isn't exactly how it happened. but we did meet at sundance, & for one of the parties involved there may, or may not, have been a slight inkling of love-at-first sight, although it may have taken the other party a couple of months to notice. but, seven years after pledging our eternal love to one another, we are still just as happy, & more in love than ever. as they say "life is not measured by the number of breaths we take, but by the moments that take our breath away." and together, jeffy & i have had plenty of take your breath away type of moments: we've feed the sharks in bora bora, rocked out at more concerts than i can count, survived the wilds of australia, had two wild & crazy boys & a pup named gigi, sailed the spanish coast, remodeled our entire house - ourselves, got lost in italy, went to the winter olympics, surfed in hawaii, cheered for the angels more times than i can count, snowboarded beneath the shadows of the matterhorn, made it out of canada alive, practically lived at disneyland - we've been so many times, kissed with the eiffel tower looming overhead, graduated law school, passed the bar exam & in the process of setting up a new law practice, kissed the blarney stone, finished my MBA program, scootered around greece, attended the tour de france & to many other adventures to name. all that's left for us? to continue living happily ever after. summer has been crazy, leaving little, if no time, for crafting. luckily, last night we managed to get in a not your mama's craft night summer session. we've done the green edition, we've made freezer paper stencils & done mod podge, we've played with our food, & recycled t-shirts. so we thought it was high-time we did something with a service-oriented twist. that's how we happened upon good 4 girls an organization "making the world a better place... one pad at a time". you've probably already seen the ad campaign sponsored by tampax & always... you know, the commercials that explain that "for some girls in southern africa, getting their period means missing school for several days each month. that's because they don't have access to something many of us take for granted: feminine protection." wow! to be honest, i'd probably never thought of it before. but i can't even begin to imagine have to rely on rags, camel skin, or old newspapers. so, we rallied the forces, gathered some supplies & set about to make as many of THESE (with a few variations, like adding a waterproof layer) as possible. as usual, the evening was full of laughter, good treats & lots of crafting. together we helped make "the world a better place... one pad at a time". as always, feel free to craft along from the comfort of you own home. let's go surfing now, everybody's learning how. one afternoon this week jeff ditched work a little early, we loaded up the truck with beach towels, snacks, some surfboards , the whole fam (even gigi!) & meet some friends at the beach. we played in sand, frolicked in the waves, all while watching the boys surf. even gavin got a little face time with a board... jeff paddled them out & together they "caught" a few waves. before we know it, owen will be out there too, he kept himself busy checking out all of the boards & trying to land surf. pretty soon we'll have a bunch of little grommets running around. "i'm the man. owen, i'm not a boy, I'M THE MAN!" the '70s were full of some serious crafts... macrame, lanyards, pet rocks, rainbow sand bottles. pair all that with disco, & all i can say is wow! what an era. i definitely missed out. bring a little bit of the '70s back into your life with a little string art, remember that one? the basically, using a fabric covered board (a cork floor tile covered with black felt work well), you pound in some small nails or pins in a pattern, & then using string "thread" the nails to create beautiful picture. Find more in-depth instructions HERE & HERE. you can buy string art kits HERE, but there are tons of FREE patterns available HERE, HERE, & HERE. and here's a little tip i've picked up along the way... use a film canister (if you still have one lying around) to hold the string so it doesn't get tangled. put one end of the string inside the canister, then put on the lid. wind the remainder of the string around the outside of the canister. last week we packed up the boys & headed over to the fair. (okay, so maybe we didn't go to the "state" fair, it was more of a "county" fair, but it's all the same.) we did lots & lots of people watching, rode a few rides, hemmed & hawed about getting up & humilating ourselves by playing rock band on the tour bus stage (i chickened out), visited the petting zoo & ate lots and lots of food. you can pretty much guarantee that everything at the fair is either smothered in bbq sauce, laden with butter, deep fried, or sometimes all three. we discovered that they'll deep fry anything... oreo's, frog legs, twinkies, spam, snickers bars, raviloi, pop tarts, avocados, & cream puffs, just to name a few of the more random menu items. and although all of that definitely sounded tempting, we settled for a decadant deep fried mexican funnel cake. which is basically a churro fried up like your typical funnel cake, sprinkled with cinnamon and sugar & topped with lots of whipped cream & strawberries. it was the best of both worlds... yum! boy am i glad that the fair only comes once a year. i don't know if i could handle much more. but, i'm already waiting for next year. have YOU read it yet? thoughts? feelings? my boys love collecting & gathering rocks. whether we are at the beach, the park, or simply in the backyard they are always making rock piles. 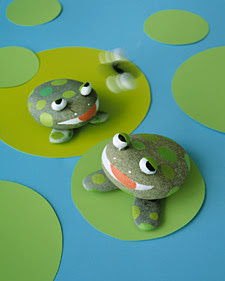 THESE simple frogs look like the perfect craft project for a pair of wild & crazy little boys. thanks martha, you always come to my rescue.